" This nasal mask is amazing. The fit & comfort are fantastic. No more tell-tale lines on my face, as with other masks I have used. " Believe in magic? 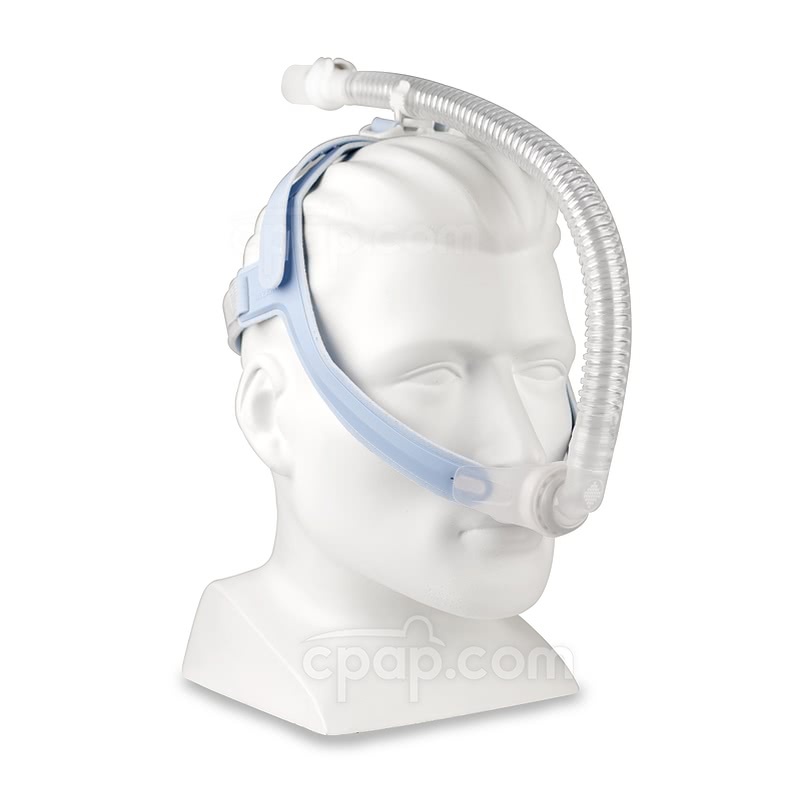 The Mr. Wizard 230 Nasal Pillow CPAP Mask does. This lightweight mask may provide just the trick to offer a comfortable, well-fitting solution when heavier, more cumbersome masks fail to pull the rabbit out of the hat. Included is a small cleaning brush and three different sizes of nasal pillows. The Mr. Wizard 230 Nasal Pillow Mask is light enough to make the user think it has performed a disappearing act! This is a nasal pillow mask with pillows that seal at the bottom of each nostril. 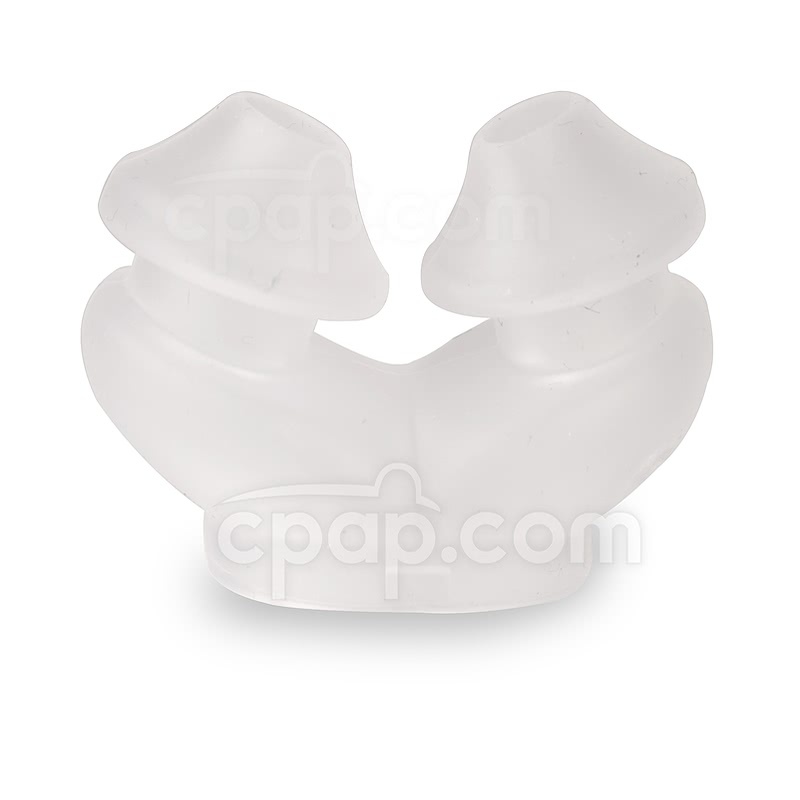 The Wizard 230 nasal pillows are made to adapt to the position and orientation of the nostrils. The base of the pillows features an indentation to help keep it from rubbing the nasal area. The Mr. Wizard includes three nasal pillows: small, medium, and large. The Mr. Wizard is made up of lightweight components coming together for a mask weighing just 2.85 oz. with the medium nasal pillows installed. A lightweight mask is less likely to cause irritation and provoke claustrophobia. 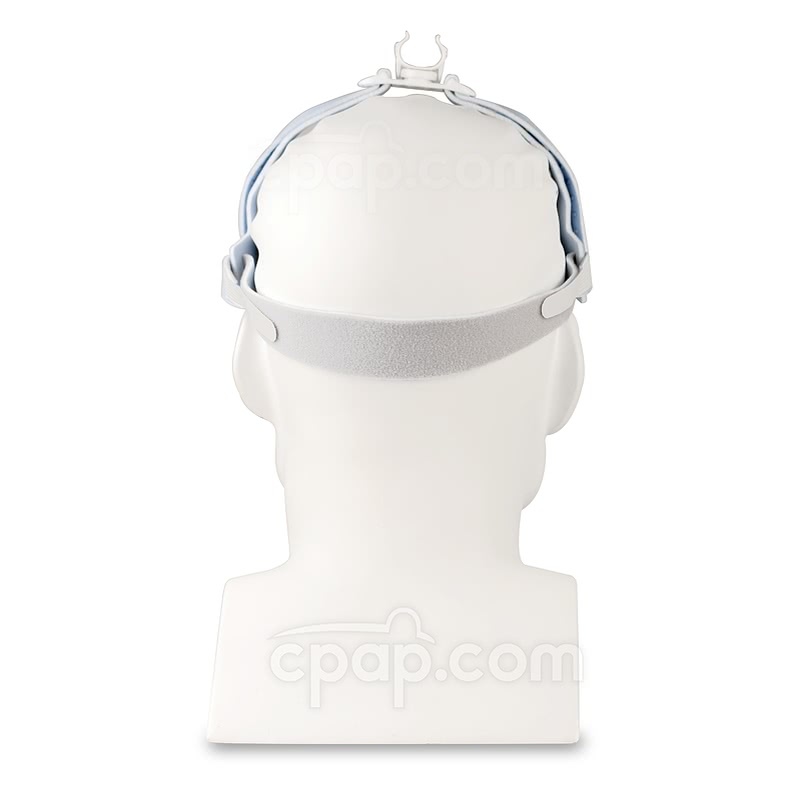 The lightweight headgear is designed with comfort and efficiency in mind. 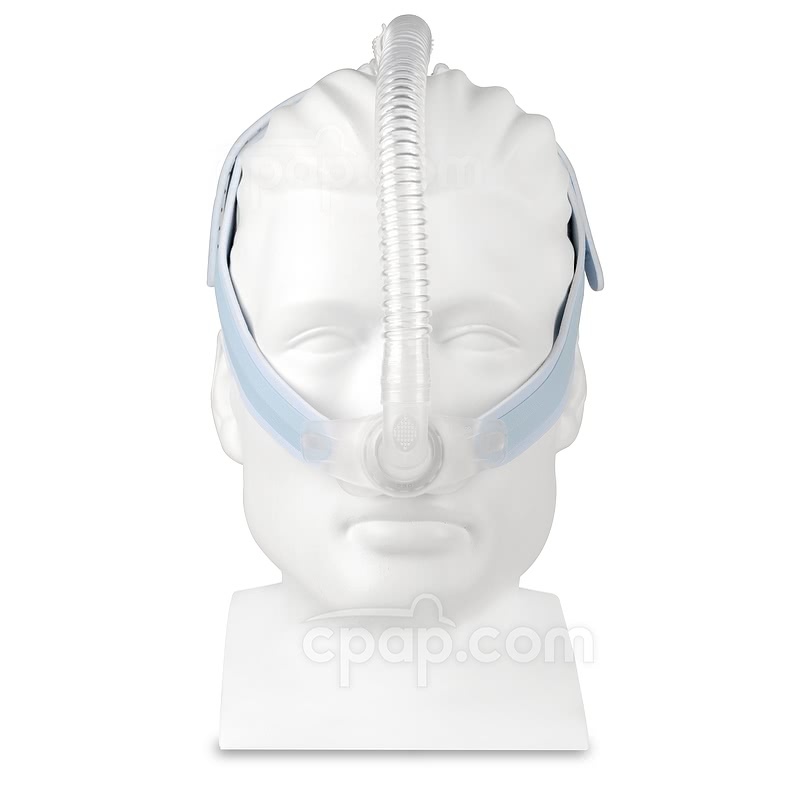 The side straps angle down to the nasal area to provide a secure connection of the nasal pillows and help promote cheek comfort. 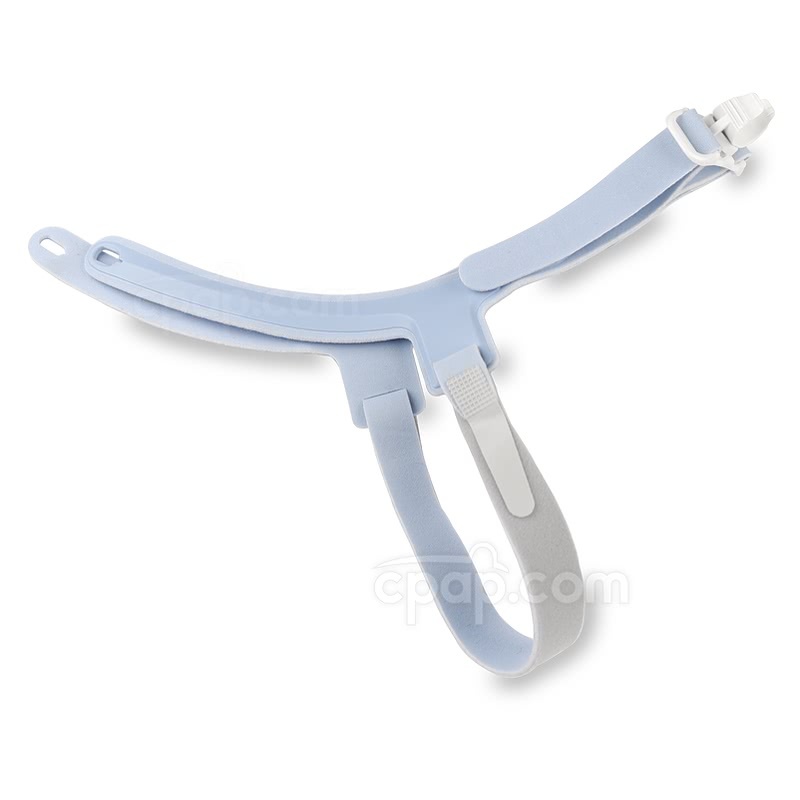 A crown strap goes over the top of the head and features a retainer clip. 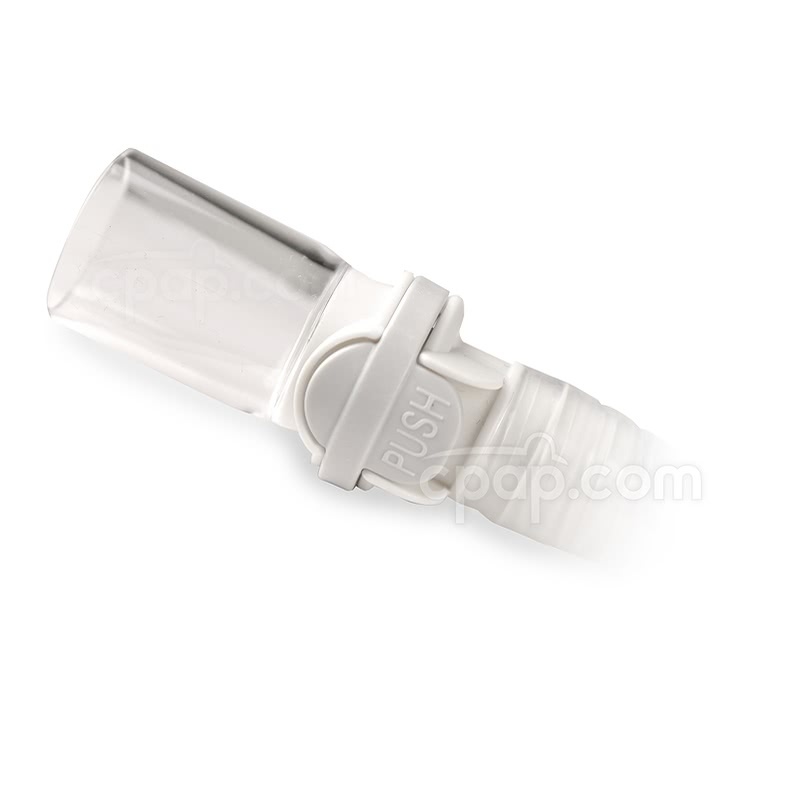 The short tube can be locked in to the retainer clip if the desired position is to have the hose directed over the head. The Mr. Wizard 230 features a short tube that connects to the mask frame using a ball and socket joint. This allows the short tube to move freely in multiple directions to help accommodate movement during sleep. 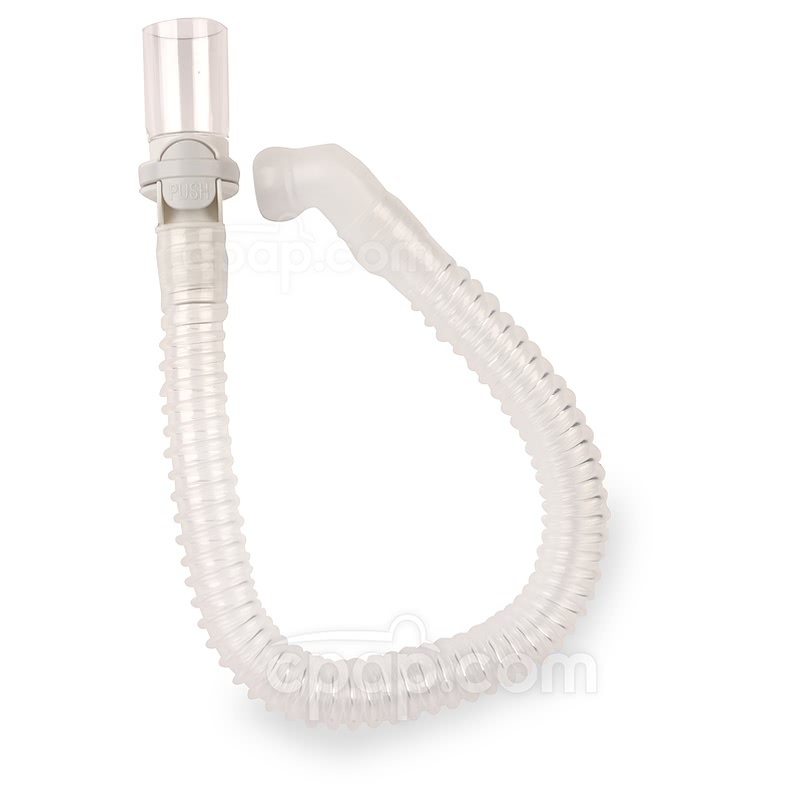 The end of the short tube features a quick release swivel allowing the mask to be easily detached from the longer CPAP hose for restroom breaks or other interruptions to therapy. 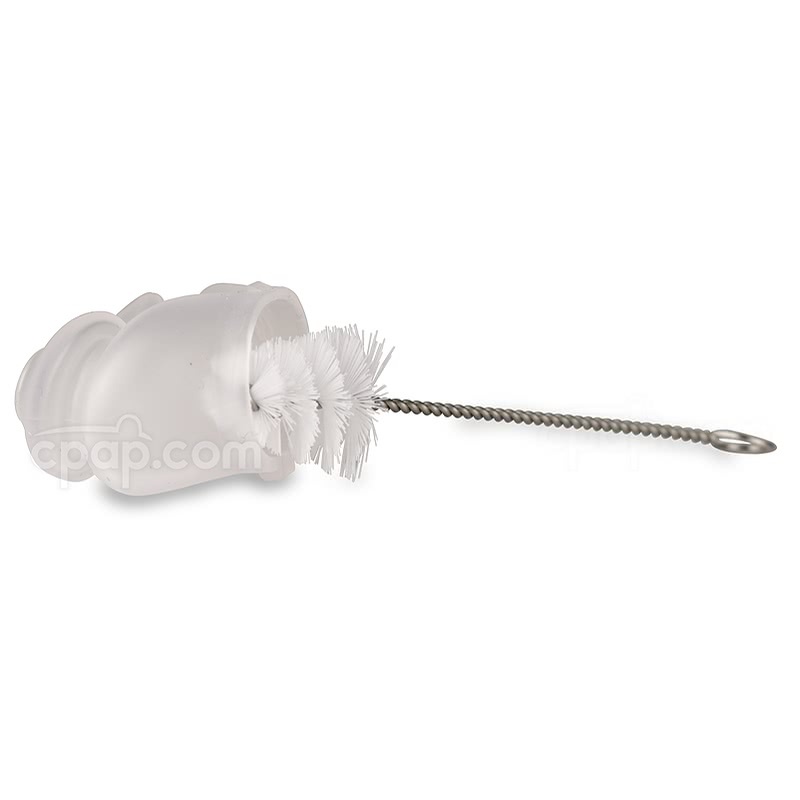 Included with the Mr. Wizard 230 is a small cleaning brush for easy maintenance of the nasal pillows. The brush effectively cleans the inside of the nasal pillows to help provide a fresh, clean experience each night. Looking for a Wizard 230 nasal pillow system designed for her? Good news! Apex also offers the Ms. Wizard 230. Disassemble the mask and remove the headgear. Wash the mask parts using mild detergent or dish soap and warm (not hot) water. 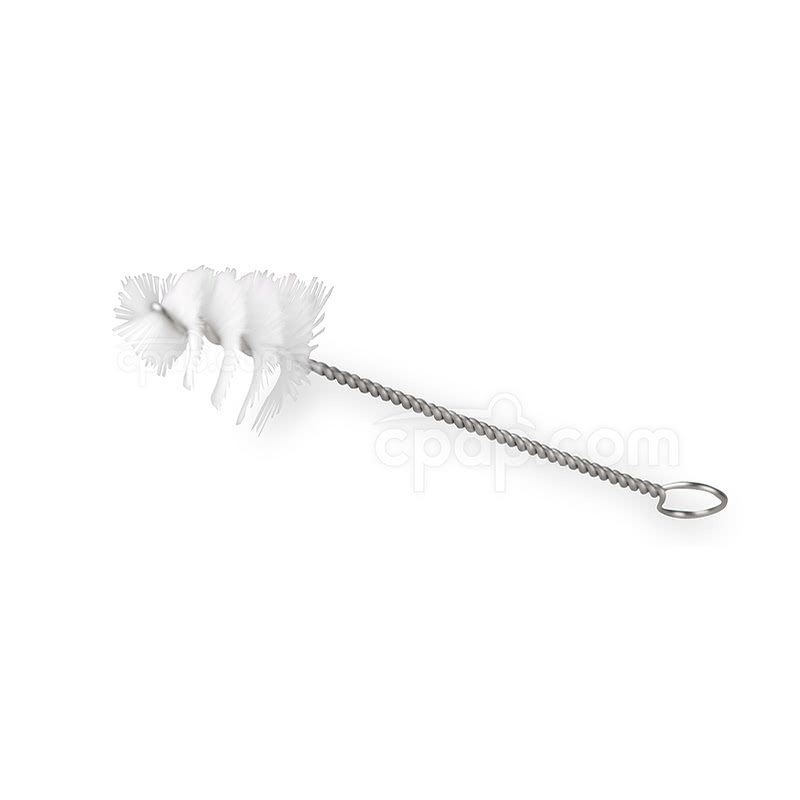 Use the included small bristle cleaning brush to clean the air vents and pillows. Inspect mask vent holes to ensure they are clear. Rinse the mask parts well using clear running water suitable for drinking. Allow parts to air dry, out of direct sunlight, before reassembling for use. DO NOT use bleach, chlorine, alcohol, or scented oils on the mask. DO NOT iron the headgear. The mask frame and nasal pillows are replaceable. The mask frame does not have an identifiable size because it offers a universal fit for each of the Mr. Wizard 230 nasal pillows. 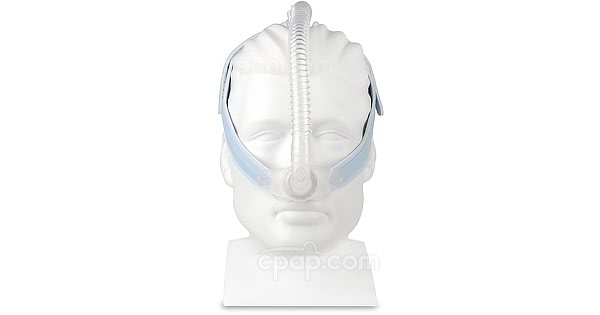 To find the size of the nasal pillow, remove the nasal pillow from the mask frame. With the largest opening facing upward, look to the right of hole. 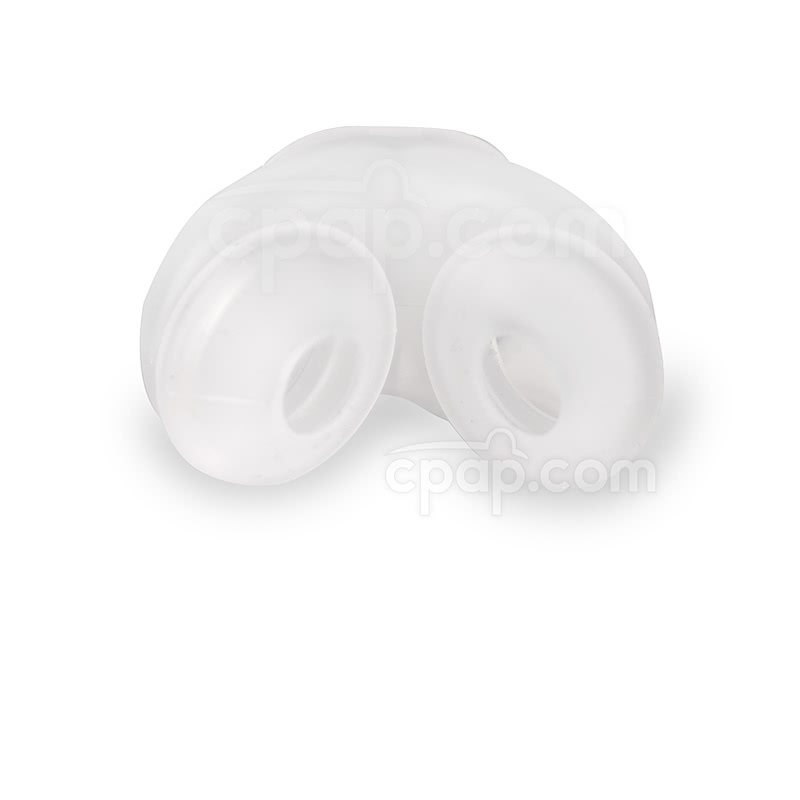 A clear letter embossed into the silicone material will indicate the size of the nasal pillow. Before First Use: Hand wash the Wizard mask prior to using the mask for the first time. Use a mild soap or dishwashing detergent and warm water. Do not wash in hot water. Rinse well and allow to dry. See the Specs Tab of this product for daily cleaning instructions. 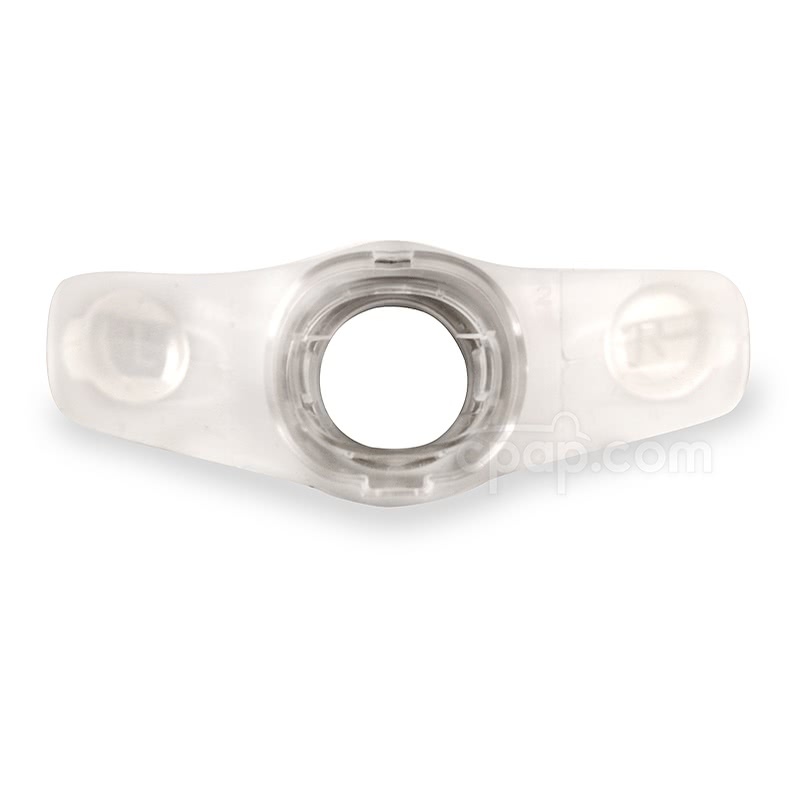 Position the mask frame so the clear acrylic ring is facing you with tab labeled with "L" on the left and the tab labeled with "R" on the right. Position the pillow so the side with the sizing letter is on the same side as the "L" of the mask frame. The nasal openings should face away from the frame. 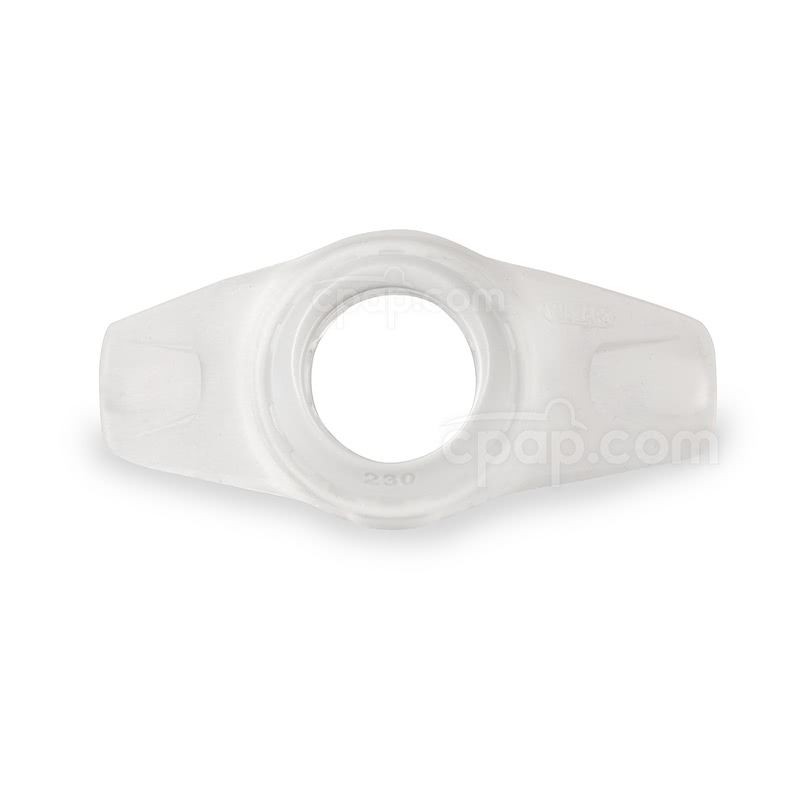 The pillow base fits into the channel of the acrylic ring on the mask frame. The wider tab is at the bottom of the nasal pillow, and will fit into the slot on the bottom of the acrylic ring. The smaller tab fits into the smaller slot on the top of the mask frame. Ensure the pillow base is fully inserted into the mask frame and the tabs are firmly in the slots. 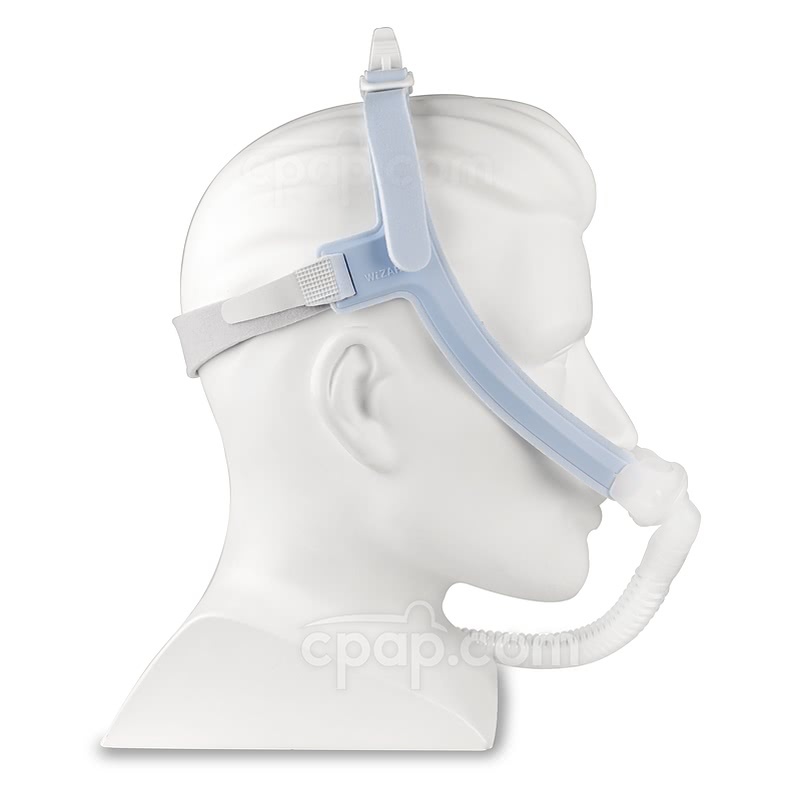 SnuggleCover for Short Tubes: The SnuggleHose Cover for Short Mask Tubes will fit the short tube of the Wizard 230 Nasal Pillow Mask. Adding Supplemental Oxygen To Therapy: The Wizard 230 does NOT have an oxygen port connection to add supplemental oxygen. 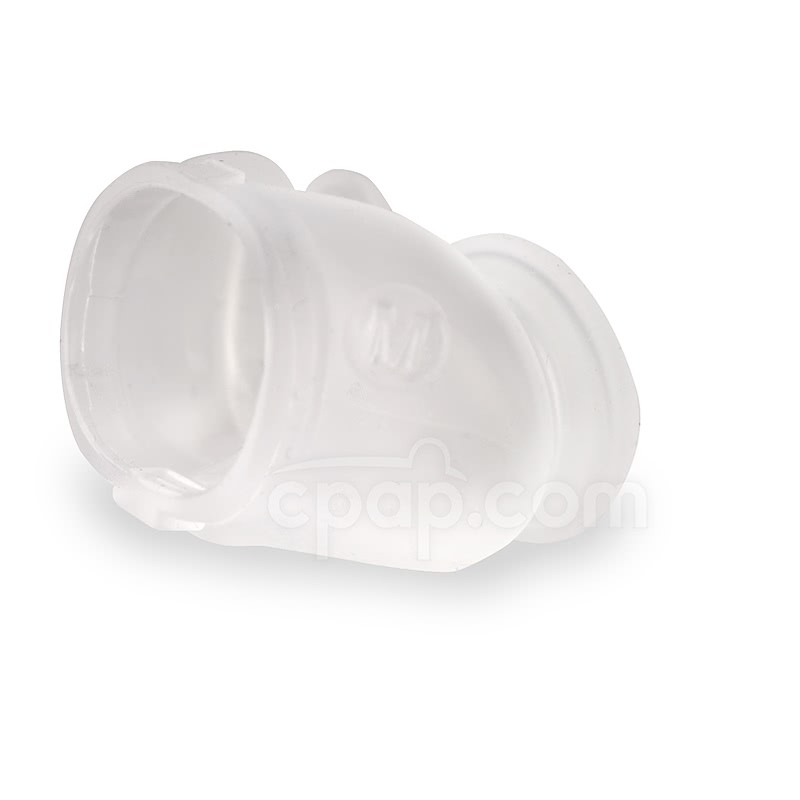 The Oxygen Enrichment Adapter is available to add oxygen to the air stream.